Amy McCulloch is a Canadian living in London, who fits writing around work as an Editorial Director at one of the UK's leading children's publishers. She was bitten by the travel bug at an early age while accompanying her parents on buying trips around the world for their oriental carpet business. It was her love of travel that inspired her to set a novel in a hot, desert location (moving to freezing Ottawa, Canada, where her first winter hit -40 degrees C, might have had something to do with that, too). 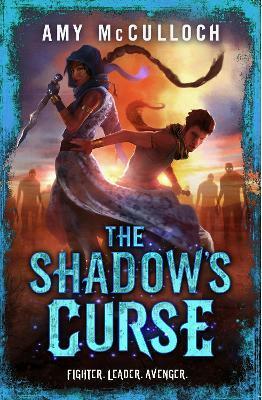 She studied Medieval and Old English literature at the University of Toronto.The sequel to The Oathbreaker's Shadow, The Shadow's Curse, is available now.